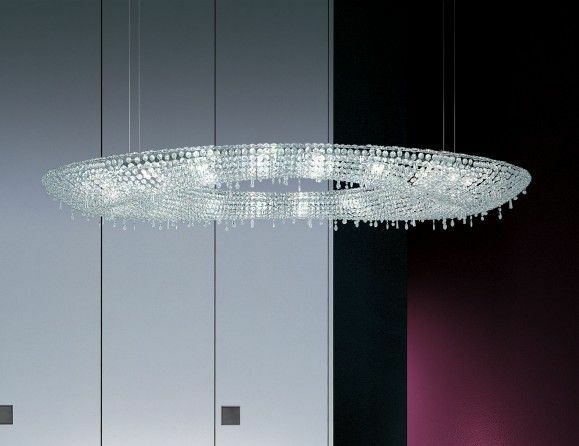 Nella Vetrina showcases the finest designer Italian hanging lights and pendant lights. Each of our designs are conceived by leading artists and handcrafted by Italian master builders. 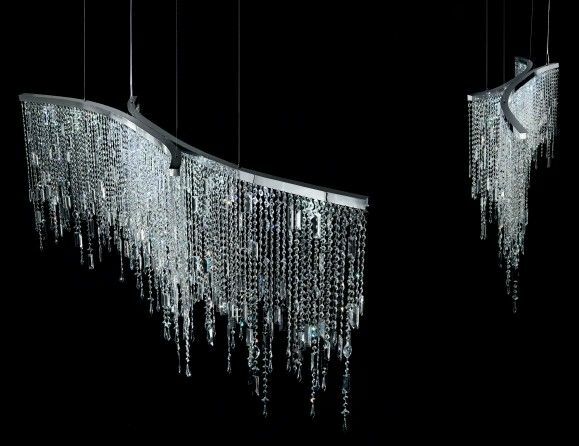 Our Murano hanging lights are individually hand-made to create true works of art. We offer designer hanging and pendant lights in contemporary and traditional styles. 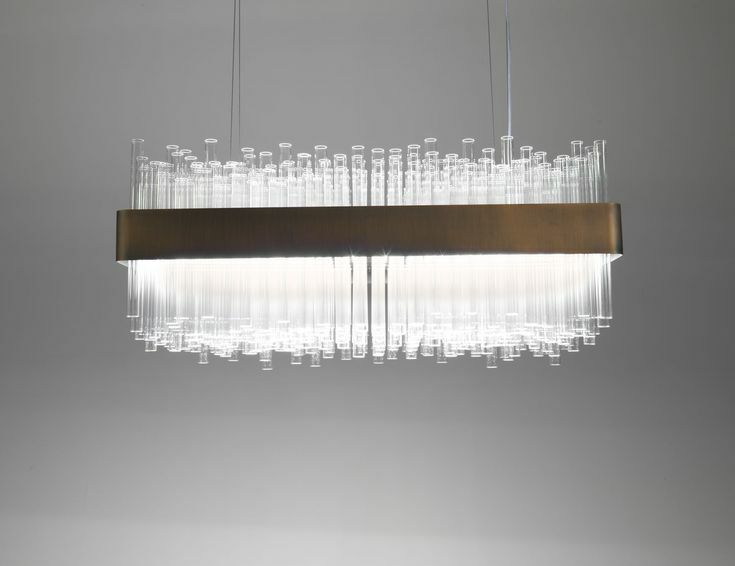 Our modern and contemporary lights are designed by internationally influential designers, who incorporate a dazzling variety of materials both innovative and traditional, including, of course, Murano glass. 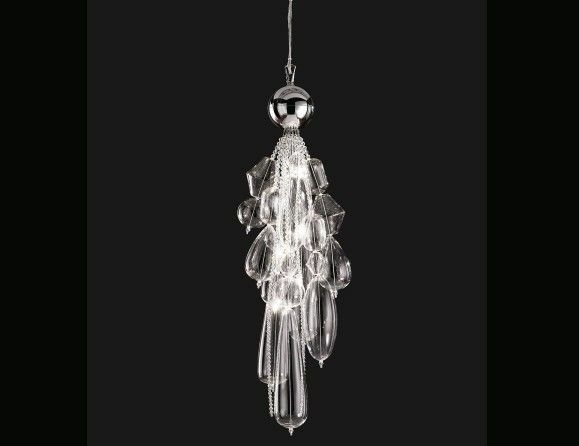 See, for example, our Point hanging light, composed of four red glass wands suspended from the ceiling, recalling a beautiful necklace. 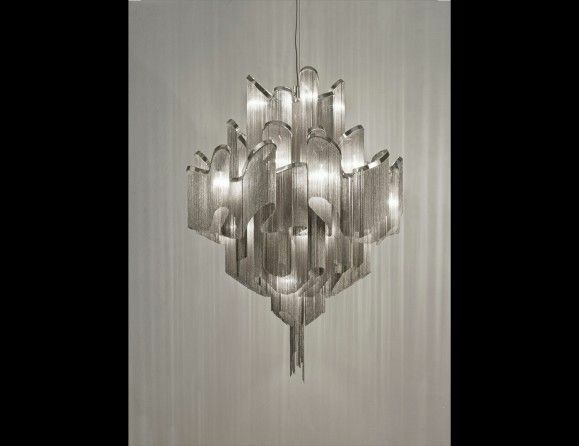 The Mistral hanging light, designed by Samuele Mazza and Alessandro La Spada, is an unforgettable cluster of gleaming stainless steel chutes; it is a piece that hints at high velocity. 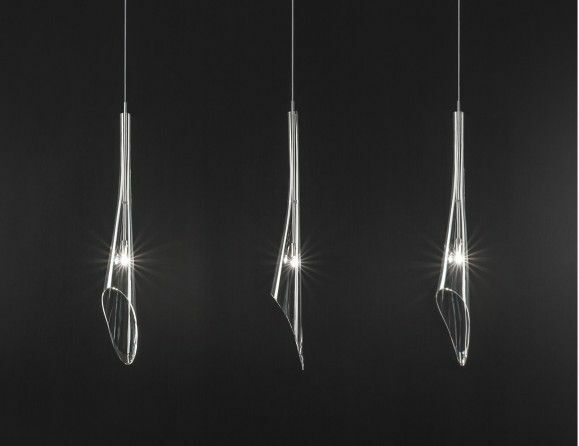 In the Spirale light, from Nella Vetrina’s Italamp collection, a ring of red metal lines descends from the center, each folding in turn by ninety degrees to form a descending spiral of light. 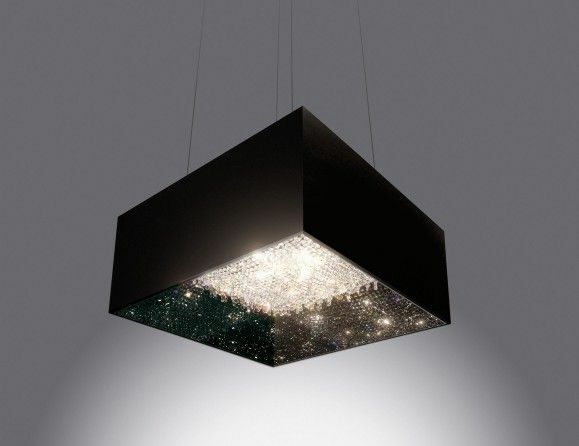 Any of these ambitious pieces will bring an inimitable glamour to the contemporary space. 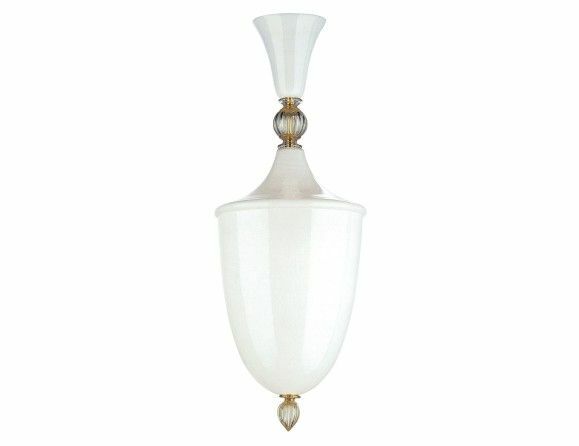 Our traditional and classic hanging lights and pendant lights are no less striking than the contemporary. They revive the legendary interiors of 17th and 18th century France and Italy. 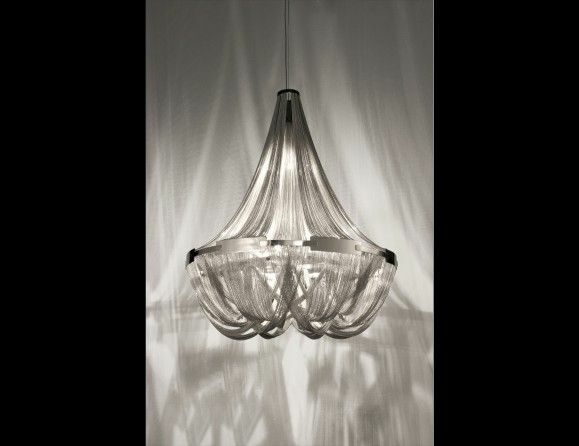 The realization of these designs in the equally storied glassworks of Murano results in unforgettable pieces of art. These pieces are made with traditional, reliable methods, but with a contemporary concern for the environment. Each of our designer hanging lights and pendant lights are handmade in Italy, in order to ensure the very highest material and structural quality. Because of the attention given to each piece, we can also offer them with a variety of customizations, in their size, material, color, and finish. 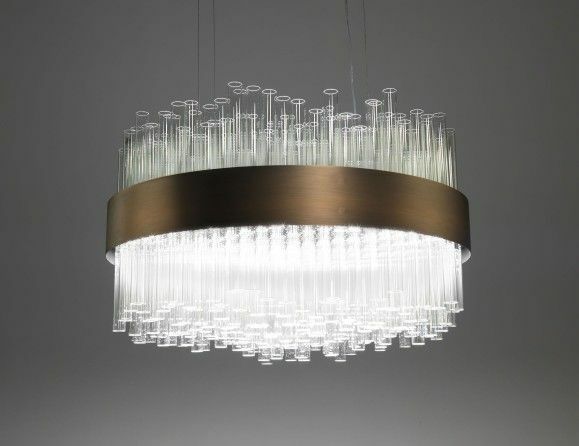 Each light can therefore be found or created to suit any contemporary home or hospitality space. 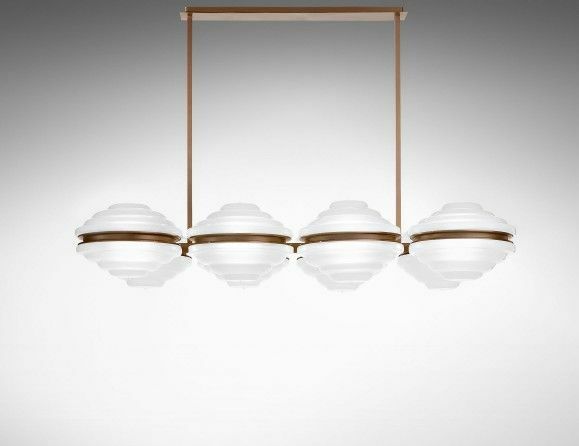 Italian designer hanging light handmade in smoked glass. 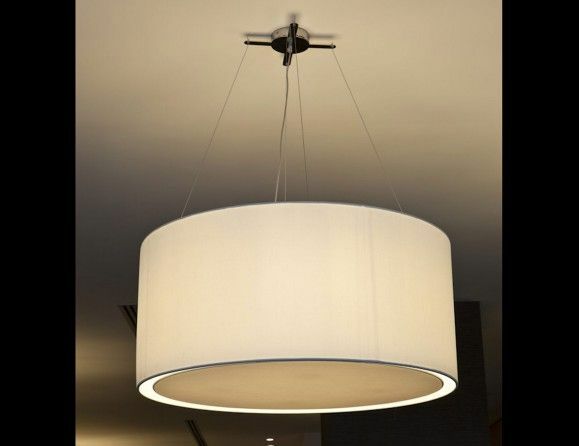 Sizes available: 1 light (as shown). Finishes: amethyst, amber, milk white, crystal, or smoked. Ceiling light, wall light, table lamp, and floor lamp version also available. Made in Italy. 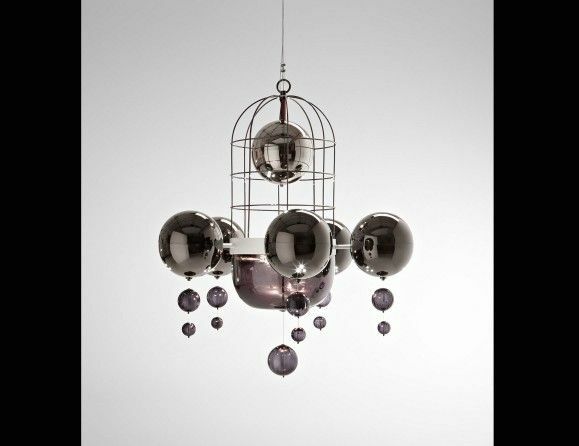 Italian designer hanging light handmade in smoked glass. Sizes available: 1 lights (as shown). Finishes: amethyst, amber, milk white, crystal, or smoked. Wall light version also available. Made in Italy.